The vast majority of this frenzied building work is in commercial office construction. Driving it, as always, is the allure of higher prices. 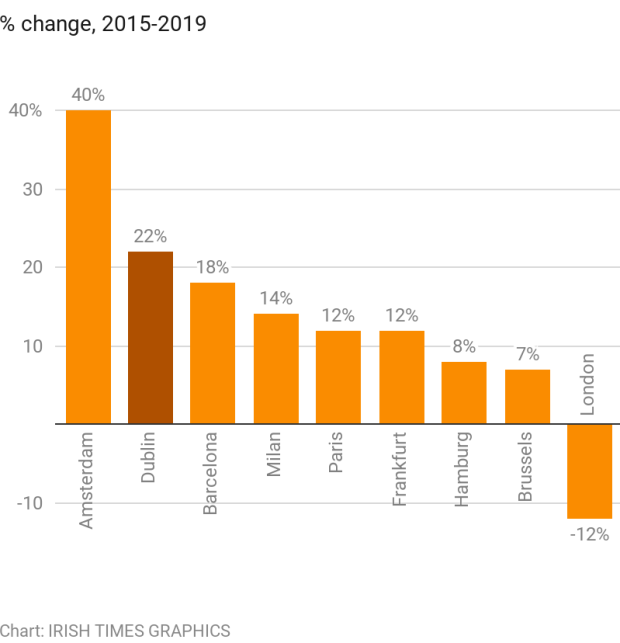 Despite massive increases in supply, commercial rents in Dublin have rocketed since 2015 to just shy of €700 per square metre. 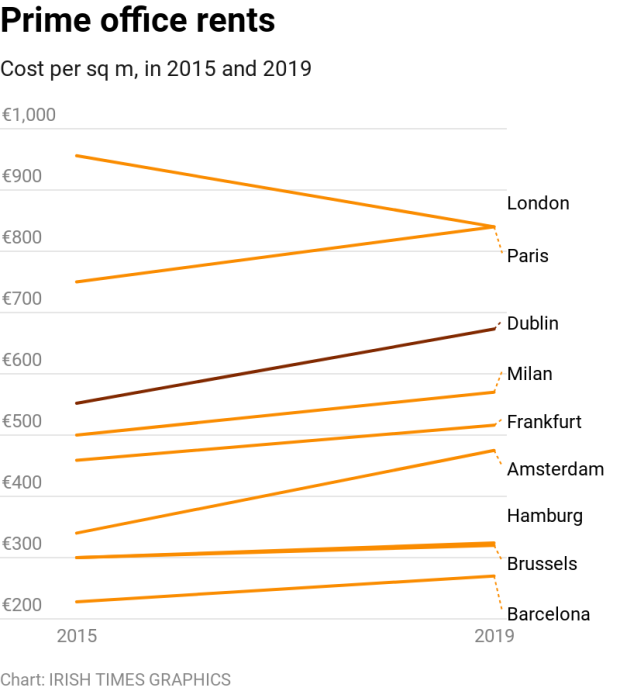 This makes Dublin’s commercial rents substantially more expensive than Amsterdam, Frankfurt, Barcelona, Hamburg or Milan. The rise in Dublin’s rents has legitimised ever higher prices for commercial developments, which in turn drive prices and rents ever higher. Most of this is not being financed by the domestic banking system but by a new network of “shadow banks”. These shadow banks are international funds that behave like banks in the way they take in deposits from wealthy investors and lend money out to others, but they are not in fact identified as banks. Such outfits are taking advantage of historically low interest rates by promising their investors higher yields than they would get on deposits in normal banks. Once they get the cash in, the shadow banks scour the world looking for yield – and that is how they arrived in Ireland. Given the amount of activity in this sector, the nature of the financing and the soaring trajectory of prices, rents and construction costs in Dublin, it is high time to consider whether it is all sustainable. The job of the public economist is not to pinpoint exactly when the market will turn – that is for the investor and, more specifically, the speculator – but to highlight the nature of the cycle and way these markets behave. When similar players, driven by similar goals, chase higher and higher prices in any market, a type of group dynamic takes hold which has more to do with group psychology than economics. It is regularly forgotten in the technical world of charts, screens and algorithms that any market is made up of humans, and we humans are social animals, a bit like talkative chimps. We influence each other, get excited together, get depressed together. In fact, the economic cycle which we hear so much about, is, in truth, little more than the financial manifestation of human excitement and greed on the way up, and depression and fear on the way down. Once the group dynamic takes hold, it is more instructive to look at prices as amplifiers of the group trip, rather than indicators of fundamental value. When we get excited on the way up, the market behaves like a giddy herd, aroused by the powerful aphrodisiac of higher prices. Higher prices distort our reality and coax us to chase the next deal, buoyed on the success of the last one. Despite the fact that the cardinal rule of investing is to buy low and sell high, most people do the opposite: we buy when prices are high, emboldened by the excitement of it all and the power of the high-priced drug, only to sell later at lower prices when the mood changes. If there is borrowing, this becomes a self-fulfilling dynamic. (And there is always borrowing; otherwise prices wouldn’t have rocketed in the first place.) As prices fall, more people panic and sell and then lower prices beget ever lower prices. Such counterintuitive financial behaviour occurs because humans are pro-cyclical, buoyed up by excitement and irrationality. The investing pendulum swings between greed and fear, explaining why asset prices can undershoot and overshoot fair value, sometimes for long periods; until they don’t. We move swiftly from confidence to pessimism and the only real rules are: that markets tend to be cyclical; and that opportunities arise when people forget the first rule. Armed with these observations about the cycle, what can we say about Dublin’s commercial property market? Historically, every boom/bust cycle – whether we are talking tulips, housing markets, subprime, bank stock or dot-com manias – goes through the same cycle where investors go from optimism to euphoria to depression to panic. It’s a journey that often leads to the destruction of wealth. Crucially, the crash itself – although a traumatic event – doesn’t destroy wealth; it merely underscores how much wealth was destroyed by rash decisions made in the boom. Remember that the worst of investments are typically made in the best of times, when our guard is down, where recent success eclipses the possibility of future failure. As the train pulled out of Connolly station and the true extent of the bonanza was revealed by the dozens of cranes, it struck me that vigilance rather than enthusiasm might be a good stance at this bubbly stage. Warren Buffet once advised to “be fearful when everyone else is greedy and be greedy when everyone else is fearful”. Is Ben Bernanke the father of Alexandria Ocasio-Cortez? Not in the literal sense, obviously, but in the philosophical and political sense. As we mark the 10th anniversary of the bull market, it is worth considering whether the efforts of the US Federal Reserve, under Mr Bernanke’s leadership, to avoid 1930s-style debt deflation ended up spawning a new generation of socialists, such as the freshman Congresswoman Ms Ocasio-Cortez, in the home of global capitalism. Mr Bernanke’s unorthodox “cash for trash” scheme, otherwise known as quantitative easing, drove up asset prices and bailed out baby boomers at the profound political cost of pricing out millennials from that most divisive of asset markets, property. This has left the former comfortable, but the latter with a fragile stake in the society they are supposed to build. If asked to list the significant threats to the Irish economy, you might be inclined to identify Brexit, artificial intelligence or the EU approach to our tax system. Or you might think about the shortcomings of our education system, the lack of proper housing or the general cost of living. Typically, we perceive threats to be part of “the system”, the political class, the banks or some events far away over which we have little control, such as Donald Trump or contagion in global financial markets. And then there are threats to the system coming from radicals who want to force change and lurch to some extreme or other. What if the most significant threat to Irish prosperity is much closer to home, hidden in plain sight? Could the real menace to Ireland come from what could be called the “contented class”, not from those who want to shake things up? 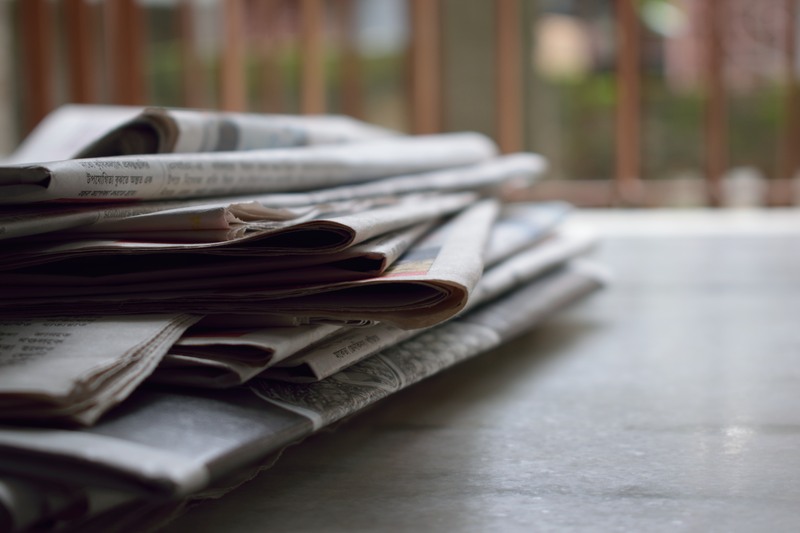 David has been writing for almost 20 years and there are plenty of articles covering some of the most turbulent times in the world economy. 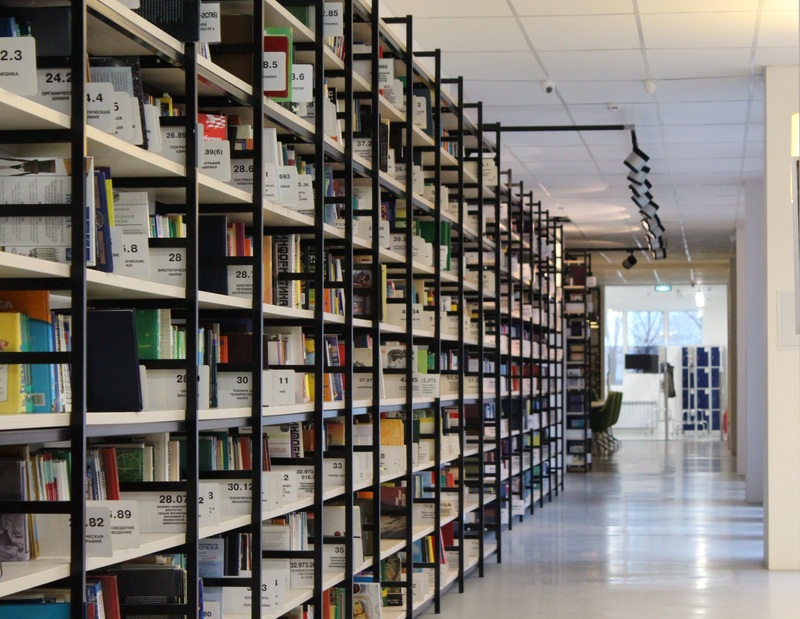 Head over to the archives page to view all published articles.